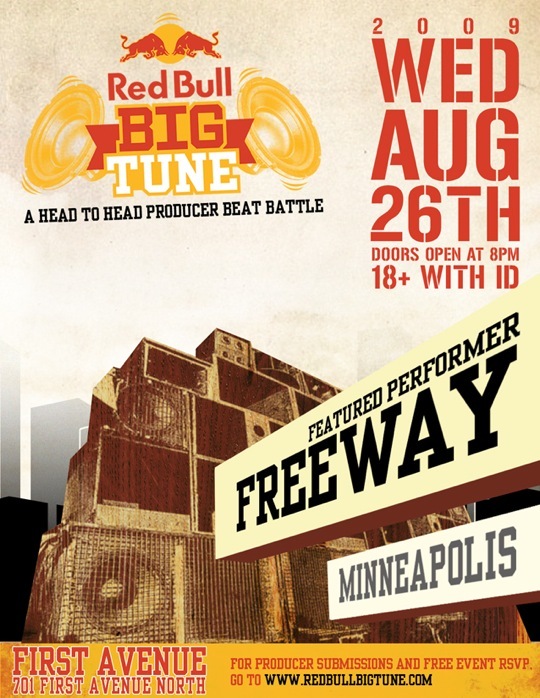 The Minneapolis heat of the 2009 Red Bull Big Tune Beat Battle takes place on August 26th at First Avenue. Hit up Red Bull Big Tune for more info. Me and my finest friend was just having a conversation on this rather subject and we decided to look it up and discovered your website. Rather informative details.